For over 20 years Sojourn has been producing construction and regulatory signs for towns, municipalities and contractors throughout the region. Quality products and materials combined with fast and friendly service is what makes Sojourn Signs Atlantic Canada’s leading supplier of construction and regulatory signs and products. As a 3M Certified Fabricator you can be sure our signs are manufactured to the highest quality and will meet or exceed MUTCD standards. 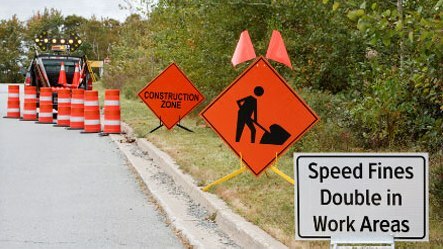 We also supply a wide range of construction and traffic control equipment from cones to electronic message boards.